Christopher Stager is a veteran advertising and marketing executive who has spent more than three decades in the field of audience development. Since 1989 he has specialized in marketing orchestras and the performing arts. He has an extensive knowledge of repertoire and musicians, allowing him to communicate the artistic assets of any program. In 1999, Christopher Stager introduced CRStager marketing & audience development to help orchestras, opera companies and performing arts presenters focus their marketing challenges around the specific contour of their communities rather than industry-presumed audience trends. With 28 years of classical marketing experience in collaboration more than 100 organizations, Christopher Stager has developed marketing strategies specific to each that have generated over $500,000,000 in ticket sales – sales unprecedented in the art form. 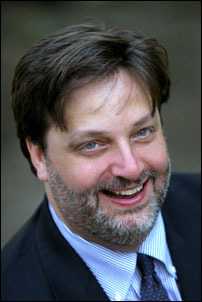 As the most trusted name in marketing, Christopher Stager has built audiences for the Baltimore Symphony, The Boston Pops, The Cleveland Orchestra, Detroit Symphony, Indianapolis Symphony, Los Angeles Chamber Orchestra, Milwaukee Symphony, The Philadelphia Orchestra, he Pittsburgh Symphony, Saint Louis Symphony, San Francisco Symphony and many others. Christopher Stager was a contributing editor on the subject of orchestra marketing to Polyphonic, the Orchestra Musician Forum at the Eastman School of Music. His writing has also appeared in ArtsReach, and he is often quoted in the media on issues relating to orchestra marketing. He directed the marketing for all four years (2011-1014) of Spring For Music, showcasing American orchestras at Carnegie Hall. In 2016, he aided the producers of Mozart in the Jungle, developing capacity utilization and sales models to accurately reflect dramatic plot points. In January 2017, he will be the guest speaker on orchestra marketing at the San Francisco Conservatory’s “Music Management for Musicians” seminar. Providing strategic counsel, process and perspective on marketing, advertising and audience development to the Boston Pops, Baltimore Symphony, The Cleveland Orchestra, Detroit Symphony, Knoxville Symphony, Lincoln Center Festival, New York Philharmonic, The Philadelphia Orchestra, Rochester Philharmonic, San Francisco Symphony, Saint Louis Symphony, Spring For Music at Carnegie Hall, Toledo Symphony, Winston-Salem Symphony and others. Responsible for marketing the Orchestra’s classical, pops, summer and holiday programs. During tenure, earned revenue grew from $5.2-million to $6.4 million. Responsible for marketing the Orchestra’s Severance Hall and Blossom seasons. During tenure, each season experienced steady growth, and the patron database grew by 30%.